Up to mischief as usual, the inseparable Chip and Dale just couldn't help themselves when they laid eyes upon today's cake. 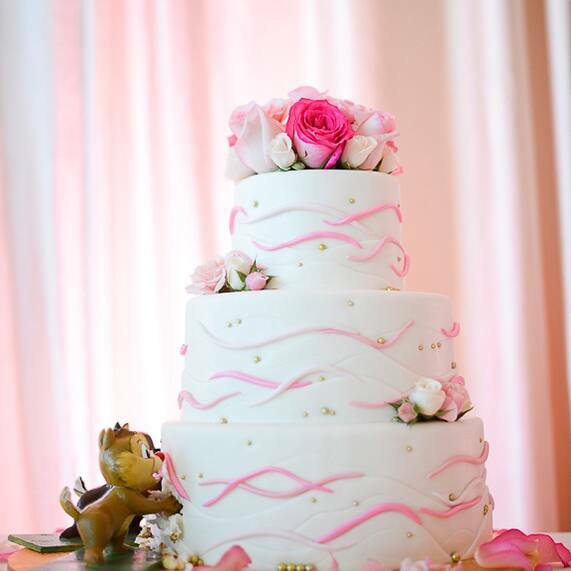 This three-tier beauty is accented with pink and white roses and a wave-like pattern inspired by Disney's Contemporary Resort. In an unforgettable touch of Disney magic, Chip and Dale decided they did't want to wait for the cake cutting to dig in to this delicious treat!